This entry was posted on February 8, 2011 at 4:11 pm	and is filed under Changing the World. Tagged: ACTA, allegations, AM¡NAcorp.ca, Anti-Counterfeiting Trade Agreement, bell canada, blackberry, border officials, Brazil, C-52, Canada, Canada's Anti Terrorism Act, Canada's Charter of Rights and Freedoms, Canada's Privacy Commissioner, CAPAPA, CD, China, civil law, consumer groups, counterfeit products, criminal law, criminal penalties, Deep Packet Inspection, DPI, draft, drug regulatory authorities, DVD, enforcement provisions, global biometric database, global standard, Government of Canada, health programs, human rights, human rights groups, ICE, imprisonment, India, Intellectual Property, Investigating and Preventing Criminal Electronic Communications Act, iPhone, medicine, Motion Picture Association of America, motion picture industry, MPAA, national security, network, NGOs, patent, PATRIOT Act, piracy, President Nicolas Sarkozy, privacy, privacy-invasive provisions, Proceeds of Crime (Money Laundering) and Terrorist Financing Act, recording industry, Recording Industry Association of America, RIAA, rights holder lobbyists, rightsholders, Russia, secret treaty, Server in the Sky, Sharon Polsky, spyware, Super Snooper Bill, telcos, testimony, Three Strikes Law, U.S.A., UK Home Office, US Homeland Security's Immigration and Customs Enforcement (ICE) department. You can follow any responses to this entry through the RSS 2.0 feed. You can leave a response, or trackback from your own site. The “Server in the Sky” initiative, already under way, is the mechanism to tie together the biometric and identity databases already created by several nations. 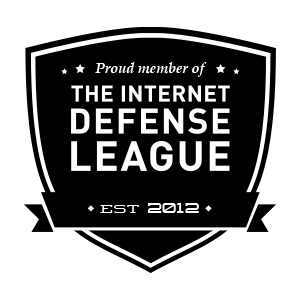 The US, UK, Canada, Australia, New Zealand (the allies in the “war against terror”) have formed a working group, the International Information Consortium, to plan their strategy. ACTA is just one in a series of illegal, secret, anticonstitutional activities designed to strip away the sovereignty of individual nations, in order to form a corporate one-world government. The meetings are held by and for the benefit of the Corporate Machine and World Banking Elite. They have little to do with actual “trade”, or “counterfeiting”. Some people only began to smell a rat after things like the passage of NAFTA, the leaking of the SPP talks, the formation of the EU, or the leaked NAU documents. The Canadian Government actively participated in the SPP and NAU processes, during the reigns of 3 different Prime Ministers, and still, to this day, they deny the roles they played, or even deny the existence of the SPP and NAU talks themselves. When what your elected governments are doing is secret, they’re not working on anything for our benefit. WIPO and other mechanisms were established as official forums for the world to discuss and propose change to existing laws. These processes are transparent and fairly open to the People. Do you think that if all the countries in the world were involved (e.g. China, Brazil), there might be a threat of a fascist world government?